It’s May already and I truly love springtime. The weather is beautiful, flowers are blooming, and everything feels fresh and cleansed and new. This is also the month I celebrate my birthday. Another reason I love spring is because of Mother’s Day, but I used to dread it because my mom died in the springtime when I was 19. I say “used to” because rather than dread, I now celebrate it instead. My mom was smart, beautiful, amazing, and funny, she did her best to make everything fun and special for my sisters, brother and me. She worked hard to “do better” than her parents had done at parenting and for that I am so grateful. She told us she loved us every single day. We never parted without a hug and a kiss and an “I love you”. She read books with me each and every night before I went to sleep. My favorite was called Kangaroo and Kangaroo. I begged her to read it over and over. And she did, almost every night, until I had memorized it. I had a Beatles poster on my wall near the door. After she tucked me in and we said prayers together she would give all four of them a kiss on her way out the door. It made me laugh. On Christmas morning she would walk each one of us down the stairs, my two sisters, brother and me, with a blanket over our heads so we couldn’t see the presents under the tree. She would torture us in the kitchen and offer to make anything we wanted for breakfast (when all we wanted to do was open our presents!). Oh the exquisite agony! Birthdays came with our favorite cakes… baked personally by my mother in the animal shape of our choice. We were allowed to open one present in the morning and the rest in the evening with the family celebrating together. There were always things to look forward to… I had to wait until I was 8 years old to have sleep over’s, 10 years old for bigger birthday parties, 13 years old for pierced ears, 16 years old to have a phone in my room. I agonized in the waiting, at the time, but now I appreciate the opportunity to have something special to look forward to. My mom made our lunches every day except for the one day we could buy a school lunch. Most of the time it was the standard pb and j or boloney and cheese but once in a while I would open my lunch box up to an egg salad sandwich, YUM!!! When I was in high school, she would let me skip school on occasion and we would go shopping and to lunch. Or she would pick me up early and we would run errands and just have fun being alone together. She taught me how to drive and also to parallel park, in spite of the fact that I scraped the paint off the car I was sidled up next to before backing in, and she never got upset. She was there, each and every day that we came home from school and it brought me much comfort. 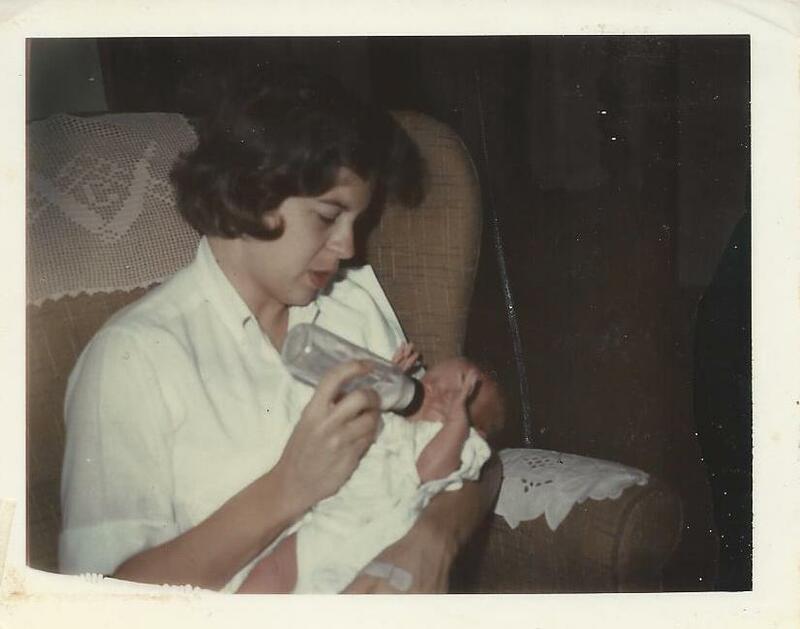 My mom was sick… she knew she had a “time bomb” in her brain that could explode any minute but she persevered and did an amazing job to make us feel special and loved and cherished. That “time bomb” eventually did explode, and she died, but she left a legacy full of memories and love that I will honor and cherish for the rest of my life. Fast forward to the present moment; I’m at peace, no longer in pain or grief. I did the work, I walked step by step through the process I now use to help people climb out of the pit, and came out on the other side of it free and clear. All I have now are happy and precious memories with no pain, sadness or regret attached. And believe it or not, I absolutely wouldn’t change a thing in regards to my mom’s death. She died when she did because she needed to go then. In that way and at that exact time. I have no doubts about that whatsoever. Happy Mother’s Day to all the BEAUTIFUL Moms of the world and also to you, Mom, I love you! Feelings… what’s wrong with me? “Why don’t I feel like I should….? Sometimes we don’t feel what we expect to feel when a loved one dies… Some of us have these strange “norms” around death and dying, especially when it comes to feelings, and they originate mostly from our culture and society, the ways we were raised and the things we’ve been taught. We have ideas about what we should be feeling or should not be feeling so, if we experience something different it can be very confusing and we begin to question ourselves and maybe even start to feel guilty. And to make matters worse, nobody wants to talk about it! Listen… I want you to know that WHATEVER it is that you might be feeling (or not feeling) is COMPLETELY FINE! There are NO rules around how you should feel inside, under any circumstances, including a death. Remember, ANYTHING you may be feeling is OKAY… always. Be aware that feelings may change from day to day when you’re going through a traumatic time in your life. Emotional roller coasters are not uncommon… one day you may feel elated and “high” and the next day like crap and down in the pits of despair. Those mood swings might be related to a particular situation or something that someone said, or there may seem to be absolutely no reason at all that you’re having these highs and lows. The only thing that matters is that you know it’s okay. Activity: Take five minutes each day to sit down in a quiet and comfortable space, and write about how you are feeling. Explore your feelings… get them out of your head and down onto paper so that you are able to face them instead of bottling them up inside of you. In my last post on Self-Love I mentioned something called the “self-love plan”… this is a great activity to incorporate into that plan. Feelings are made of energy… they are real, tangible things that can have a direct effect on our personal beings in positive, as well as negative, ways. Don’t be afraid of your feelings, express them freely…explore and allow them for the simple good of YOU. In my last post we looked at Self-Care in the midst of a traumatic event; especially after losing a loved one to a death. We touched on all of the basics that we as humans need in order to keep ourselves going on a daily basis if we want to keep our strength and well-being. Those basics are vitally important but equally, if not more so, is the aspect of Self-Love… let’s look at what it is, why it’s important, and how it has the potential to positively impact your healing (as well as others) in the midst of dealing with a painful event. 1. The ability to show love to yourself directly impacts the way you interact with other people. It’s a well known fact- you simply cannot give to others what you do not have inside of yourself. So if you don’t have the ability to love yourself, if you don’t LOVE YOU, you will not be able to authentically give love to anyone else! 2. Self-love affects how you show up for the world and the people in your life whom you care about. 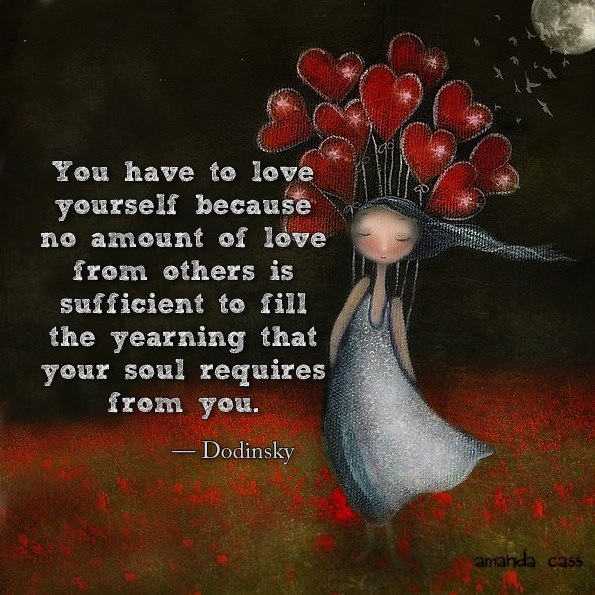 Rather than it being selfish to love you, it’s completely selfish to NOT take care of and love you. You deserve love and affection but no one else is responsible for giving it to you. Choose up to 5 (but no more than 5!) things that you can do for yourself every day, things that show love for you, things that make you happy and feel cared for. These 5 things must be simple, easy to do and quick! The maximum amount of time they should take is 20 minutes but they may take just a moment or 3, 5, or 10 minutes. The daily practice of incorporating these actions into your life is a way in which you can show yourself some LOVE; these actions will allow you to be kind and good to yourself. Here are some examples for you: Reading a book or magazine, phoning a friend for a chat, snuggling up with a pet, meditation, enjoying a cup of tea or coffee, writing in your gratitude journal, playing a fun game on your phone or ipad, taking a 5 minute walk, watching a favorite TV show, cooking, sewing, crafting, yoga, etc. These are only a few examples that I came up with, the most important thing is that YOU choose what’s fun for you, choose the things that make YOU feel good and loved and looked after. On a cautionary note… allow me to stress that these loving actions have nothing to do with lofty goals. Notice that I’m not suggesting things like running 5 miles a day, going for a 45 minute bike ride, or taking a 1 hour yoga class…. these actions should be brief, enjoyable things that you are able to pull into your day at a moment’s notice when you feel like you need a break… a little time for some refreshment. My friend and mentor, Kristie West, uses this analogy; it’s like lacing your shoes. If you choose your favorite pair of sneakers to wear for the day you wouldn’t leave the house with them untied… if you did you would most likely trip and fall all over yourself and/or others… you just wouldn’t move through the day well at all with untied shoe laces. The logical thing to do when you see your shoe has come untied is to stop and retie the laces! Your self-love plan works in the same way. Another example; you brush your teeth everyday… you don’t say to yourself, “Oh well, I’ve got a cavity so I guess brushing my teeth doesn’t work, I don’t think I’ll bother brushing them every day anymore.” You wouldn’t so that… brushing your teeth and tying your laces are things you do because you know they do you good. So, when things start to break down and fall apart during the day, it’s time to stop, take a break, and do the things on your plan. On a final note, be sure to stick to your plan on a daily basis. If you put it into action for only a couple of days you will feel disappointed when you don’t see a huge difference in the way you feel. You wouldn’t expect to go on a diet for two days and lose 20 lbs… it’s just not realistic even if you starve yourself! Keep at it, and keep it simple, those are the KEYS! 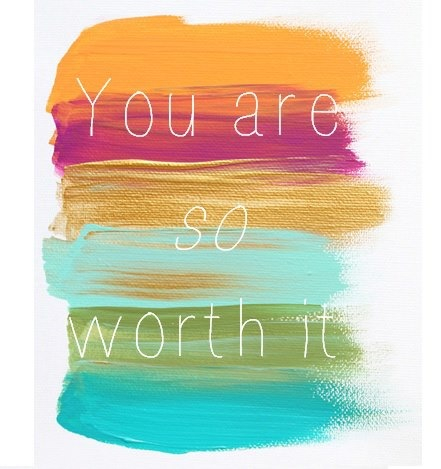 YOU are important… YOU are deserving… YOU are precious… create and work your plan and LOVE yourself every single day. Taking Good Care… Of You. When we lose someone we love we often find ourselves experiencing very high levels of stress and emotions that our bodies aren’t used to on a day to day basis. Deaths can strip us bare and leave us feeling raw and exposed… which can then make us feel very vulnerable; it’s possible too that any pain or stress we had prior to the death may now feel much more difficult and pronounced. We may get caught up in everything there is to do and take care of after the loss of a loved one, or with the needs of others whom we love and care for, therefore it’s easy for our own personal needs to get shoved to the back burner. 1. Eating the right foods that will nourish your body: The stress from losing someone we love to a death can cause us to experience many changes physically, as well as mentally and emotionally. We may feel like we have no appetite at all or we may feel like all we want to do is sit on the sofa and eat junk food all day. Whatever you may be feeling just know how important it is to feed your body nutritious foods even if you only manage to eat several very small meals per day, get some fresh fruits and vegetables into your body. Sugary and salty junk foods don’t help our bodies to function at all, in fact they can create mood swings that leave us feeling exhausted and even more stressed out. Do your best to be aware of what your body really needs and feed it well. 2. Drinking plenty of water: Our bodies are made up of approximately 70% water, your body needs water more so than food to function properly. Most guidelines recommend that the average adult drink 2 liters per day. Be wary of excessive alcohol and caffeine… if you feel the need to drink either be sure to balance your consumption with plenty of water as well. 3. Getting plenty of sleep: Most of us need 6 to 9 hours of sleep per night in order to function through a normal day. You know how much sleep your body requires on a regular basis and after the death of a loved one you may need much more than usual as stress and extra activities take their toll. Allow yourself the rest your body is calling for, do your best to stay in tune with your body and take a break when you get tired. If you find that you are restless at night and having trouble sleeping be sure to allow for extra rest and relaxation time throughout the day. 4. Knowing what helps to give you a quick “pick me up”: As you take time periodically to stop and break for a few moments it helps to do some of the things we love… those things that naturally energize us and make us feel better. Maybe it’s picking up the phone to call a friend, or having a cup of coffee or tea, maybe taking a few moments to pet and snuggle with a pet, playing a game like solitaire or words with friends, meditating, taking a short walk for some fresh air and a stretch, reading a book or magazine. Whatever you choose… just try to be aware of the things that make YOU feel good and pull them into your day when you need a quick pick me up. 5. Movement of some kind: Your body needs to move… it needs to be active. Think of some ways to incorporate movement into your day; maybe taking a walk around the block, pulling some weeds in your garden out in the sunshine, dancing for 5 minutes to a song that you love, doing some simple stretching or yoga. Find a way to move your body… every day. 6. Breathing; getting plenty of oxygen: There’s no need to stress the importance of this one… we need oxygen in order to live. The way in which you breathe can have a profound effect on your well-being. Notice where the air goes when you inhale deeply… do you feel it come in your chest or way down in your belly? The belly is where you want to concentrate. Take some very deep breaths in, all the way down in the depths of your belly, feel your belly expand out, then exhale deeply and push all of the air out before taking another deep breath in. Taking a few moments to quiet yourself and breathe will help to ease stress, calm you, and feed your precious body. 7. Prayer and/or Meditation: I do my best to stay neutral in regards to religion and spiritual faith because my beliefs have nothing to do with finding peace and joy in life. But most of the religious texts we’re familiar with (pick almost any religion or spiritual practice out there) have scripture or text that encourages us to “be still”. They suggest that we watch our thoughts and words because regardless of our spiritual beliefs we are POWERFUL creators. If we have a mind full of frenetic and negative thoughts we’re surely going to create that kind of reality for ourselves. On the flipside, if we are able to be still and take control of our thoughts we can shift any that may be causing us pain or sadness. Then we can think better feeling thoughts which will ultimately create a more positive and joy-filled reality. The bottom line is this: You are important… you matter… If you or someone you know has recently lost a loved one, or is going through a stressful period due to a traumatic event, be sure that these Self-Care basics are available and do your best to ensure that you are receiving them daily. These things are crucial to your own well-being and ability to function on a daily basis. Are you suffering from the loss of someone you love? The heartache and grief that accompany our losses can feel overwhelmingly painful but we have to remember that they are a normal and natural part of living as a human being. Each of us walks the path of grief in our own individual way but when that grief drives itself deeply into our bones and settles there for years, it can be debilitating to our lives. We might end up in a place where we can’t think or speak about our person (or pet) who’s died because it hurts too much, or we may choose to start avoiding certain people or activities because they’ve become painful reminders of our loved one who has died. If you’ve known me for any length of time then you know how passionate I am about helping people who’ve gotten stuck in their grief. It all began with my volunteer work at Hospice which then led to me doing some personal grief work on myself… I’ve read the books, I’ve taken some courses, and I’ve done lots of research too… really good stuff. Then over the years as I was working with clients I found that although they were experiencing some relief, it still seemed we were just skimming the surface. Their pain would dissipate but the wounds weren’t able to completely heal. I knew there was a better way… I knew there was something “else” so I kept digging. Kristie West (www.kristiewest.com) is a brilliant and beautiful soul who does amazing work to support her clients to FULLY heal from their long-held experience of heartbreak and grief. I knew she knew what I needed to know in order to help my clients heal deeply, so that they could move on and live their lives in joy and with happy remembrance of their loved one(s). So, I reached out to Kristie and asked her to teach me her process and she said “YES!” This began an exciting journey that I’m still walking… I myself have just completed her 9-step process and it has utterly changed my life. I worked through Kristie’s process with a focus on my mother who died almost 30 years ago. I thought I was “complete” in regards to dealing with my own grief around her death, and although I wasn’t in constant emotional pain around it, I found that there were many deep-seated issues that were subtly interfering with my personal life and levels of happiness. What I discovered was unexpected and surprising to say the least but now that I’m on the other side of it I am able to think about my mom with absolutely NO sorrow, sadness, regrets, “what-if’s” or “if only’s”. You know, like, “If Mom hadn’t died I would have made better choices in life…” or “If Mom hadn’t died our family wouldn’t have ended up so dysfunctional”. Yep, I’ve gone there a lot in my life… had feelings of strong regret, anger, resentment, and pain. But that’s all gone now. If any of this resonates with you (or maybe someone you know), if you’re in the midst of a similar struggle, if you want to feel joy and happiness when you think of your person who’s died, rather than pain and heartache, then get in touch because I’m seeking several (2-3) people to work through this 9-step process with me (and Kristie as backup as she trains me). It won’t be completely free of charge but the cost will be a mere 20% of what my full price will be when I’ve finished training. And better yet, although you’ll be working with me, I’ll be consulting with Kristie who will be 100% behind us, working indirectly or directly with us as necessary. Honestly, I would do this at NO cost but it’s a fact that we all tend to value things much more when there has been some kind of investment made on our part. Self love and self care is critical. How awesome that a small investment in YOU will result in freedom from heartbreak and deep grief. You will no longer be a victim to this loss you’ve experienced and you’ll be free to think about, speak about and remember your loved one with happiness and joy. Drop me an email (kac527@aol.com- subject: Grief Support) or message me on FB if you’re interested and I’ll provide all the lovely details. What are we to say to someone when a loved-one dies? One of my best friends was laid off from her job about a month ago… no warning, no time to get “things” sorted and settled, and no severance pay. 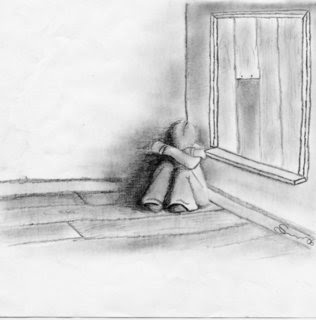 It happened all-of-a-sudden, without any warning, and it left her shell-shocked and in grief. Loss brings grief … any kind of loss, not only loss from a death. And the interesting thing is that most of us don’t know what to say to people who are grieving, it makes us very uncomfortable usually because we’re afraid we’ll say the wrong thing, or we think we need to say the perfect thing, or maybe we just don’t know WHAT to say because there are no words… But mostly because of our OWN thoughts around grief and loss. It’s almost like if we get too “close” to it we might “catch” some of it ourselves… jinx ourselves in a sense. We aren’t comfortable around death… we don’t like to speak about it. We fear it, dread it, avoid it… Whatever your own personal feelings may be about death, get real and acknowledge them, be aware of those feelings, allow them and then release. 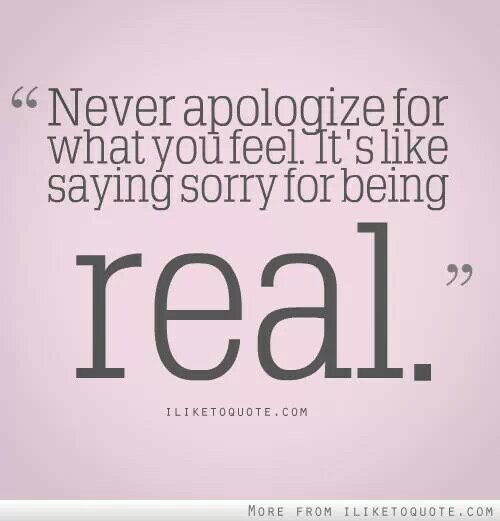 It’s okay no matter how you feel… but be honest with yourself. Well, it doesn’t matter what you say or don’t say really… I mean within reason of course. No wants to hear things like, “You can always have another baby, get another dog, find a new husband…” nor does it help to hear, “I know exactly how you feel…” because you DON’T, even if you’ve lost someone close to you. We can’t possibly know “exactly” what someone else is going through. But outside of the close-to-rude, dismissive or ridiculous, it does’t much matter what we say. The person grieving the loss doesn’t know what to say either. They’re dealing with their own confusion and painful feelings and most likely some stress around the situation… all of which mostly calls for the presence of love and support. In my own moments of deep grief and pain resulting from loss, I found the most comfort from people just “being there”, loving and supporting me with their presence… It’s wonderful to hear an “I’m sorry for your loss…” as well as,”I’m here for you if you need anything” (as long as you are sincere and really will be…) those kinds of statements bring relief and peace to weary mourners. So the next time you’re face with not knowing what to say when someone is grieving remember to acknowledge your feelings first, get in touch and be real about them. Allow them to be what they are with no blame or self condemnation, then reach out (or don’t reach out) in truth… your own honest truth. There’s nothing that could be more supportive or loving. Dust to dust.. Have you ever considered the way you’d like to be laid to rest? My mother died in 1984, she was only 46 years old, and I was still a teenager. We buried her the only way we really knew how at the time; her body was traditionally embalmed, fully dressed in her most beautiful outfit, plenty of makeup was applied to a face that wasn’t even hers anymore… And then she was all neatly tucked into an expensive, but beautiful, casket and lowered down into the ground between two other empty plots that were purchased, but will never be used, by my father and my uncle. So, nearly thirty years on, her body is still there. And although I’m very aware that her body is simply an empty shell there’s a part of me that just can’t shake the thought of it lying in that place only a few miles from me, a place that I never visit because she’s not there and it only makes me wish I was somewhere else celebrating her life and her beautiful spirit! 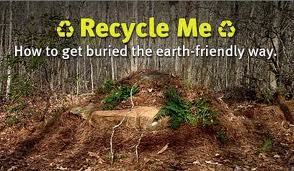 There are currently only about a dozen green burial sites in the whole of the US while Great Britain boasts over 200! Hello… and we thought they were uptight. Following the old dust-to-dust creed, it’s a relief that more and more people are choosing to be laid to rest in biodegradable caskets and graveyards filled with wildflowers, rather than granite, which takes me back to my mother… After polling my entire family, all agreed that we will disinter her casket, cremate her remains and spread her ashes at the beach; the place she loved the most. This undertaking (no pun intended) would also give my father, uncle, sisters, my brother and myself, a celebrated opportunity to remember our mom in a more memorable way… another opportunity to recognize and honor her LIFE… as well as how much we love her and appreciate her for the love and the gifts she gave to us. It’s like a “do-over”. Death comes in an instant… have you thought about what you’ll have done with your shell once you’re set free? Fun stories about surviving life!